After a year of struggling with the Nicholson McLaren V8, Bill Binnie and his Binnie Motorsports have taken the decision to switch to a Zytek engine in the team’s Lola B05/40. “We are delighted to be working with Zytek and are extremely optimistic about the speed and capabilities of this newly re-engined race car,” says the team owner. The team’s Lola was the first example of the new design to appear in 2005 (seen at Huntingdon last February, right), and made its race debut at Sebring – but a brief race there, and the lack of an invitation to Le Mans, were just the start of the team’s frustrations in 2005. They plugged away with their 2005 engine throughout the season, but the V8 was usually the cause of the car’s retirement in the LMES events – although the Lola did show good pace at times, notably in Sam Hancock’s hands at the Nurburgring (below). The team opted to miss the last race at Istanbul. 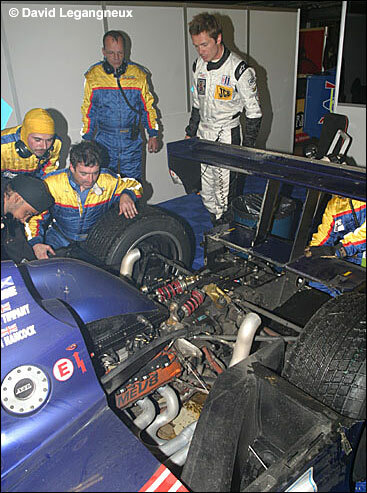 Bill Binnie (in WR overalls at Le Mans last year, left) makes the point that “we are a fully committed and funded race team and it is our intention to compete in both Europe and the United States during 2006. 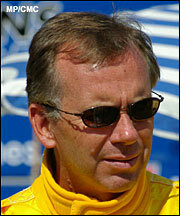 Binnie Motorsports is planning an extensive testing programme before their 2006 season begins at Sebring. Ironically, the engine choice for 2005 was made with the intention of putting out a car that had reliability at the top of its list of attributes, Bill Binnie being a fervent believer in finishing races as a first priority. 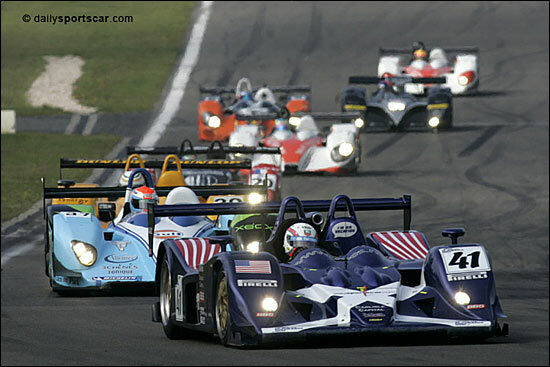 He, Clint Field and Rick Sutherland had shown how effective such a plan could be at Le Mans in 2004, when they won the LMP2 Class in the Intersport Lola B2K/40. This was the scene at Silverstone last August. 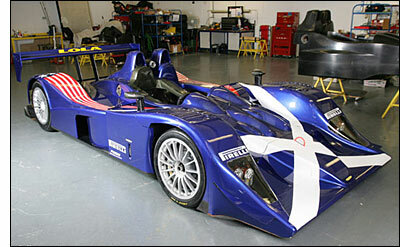 The Binnie Lola will be the first example of a Zytek V8 being fitted in a non-Zytek sportscar chassis. Lola has ample experience in fitting Zytek V8s into their single seater (A1GP) chassis, of course.